Skegness Town have their final pre-season warm-up scheduled for Thursday, with the visit of Grimsby Town’s under 18s to the Vertigo Stadium. It will be the last chance for Nick Chapman’s squad to impress before Saturday’s Lincolnshire League kick-off against Louth Town. The Lilywhites didn’t have a run out at the weekend, but Chapman used the time to watch Town’s FA Vase opponents Sleaford Town. For the opening day of the season Chapman will be without Jake Gibson and Miles Chamberlain. Ben Drysdale is also sidelined as the seasiders kick-off the defence of their title. Last Wednesday the Lilywhites beat Boston Leaguers Railway Athletic 5-0. Courtney Warren and Jordan Smith both grabbed a brace and McCauley Parker scored the other during a game that was totally controlled by the home side. 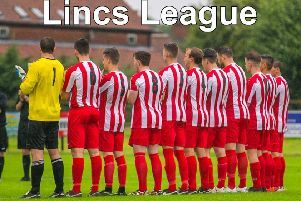 In the Lincolnshire FA Junior Cup, holders Town have been drawn at home to Louth Old Boys in this season’s competition. The tie will take place at the Vertigo Stadium on Saturday, September 9.